The Carbon Pollution Reduction Scheme (CPRS) is an emissions trading scheme proposed for introduction in Australia in late 2010. The unconditional greenhouse target of 5% reduction by 2020 is tiny and far lower than the 25% to 40% target range flagged at the United Nations Bali Convention on climate change in 2008. It encourages the growth of highly polluting Energy Intensive Trade Exposed (EITE) industries (such as aluminium smelters) by allocating them 25% of permits free of charge, increasing to 45% by 2020. This is in direct conflict with the recommendations in Garnaut's final report. There is no limit on overseas offsets, so Australia's emissions could increase and emission permits bought from overseas to "offset" them. The high "cap" is also a "floor" so emission reductions by households are simply on sold by power stations to other polluters, resulting in no actual emission reductions. The structure of the CPRS is not yet finalised. a mid-century target of a 60 per cent reduction in Australia's carbon pollution on 2000 levels by 2050.
a Mandatory Renewable Energy Target (MRET) of 20% by 2020.
a 5% reduction in carbon emissions by 2020, based on 2000 levels. The 60% reduction by 2050 is based on 10 year-old science. The latest science informs as that we are now in the midst of a climate emergency, and that we must achieve a 100% reduction by at least 2050. A better and safer target would be 100% by 2020. The CPRS has already been compromised so that it won't reduce carbon emissions - it will only reallocate them. Granting free permits (20%) to the worst polluters, and removing excise on fossil fuel use were both specifically advised against by the Garnaut report, yet the government intends to proceed with this. Neither are acceptable. The Government's most recent backflip on not specifying 2020 emissions cuts target until after global climate talks in Poland is another example of inaction and delay. The Australian government released the CPRS whitepaper on 15 of December 2008. Up to (but no more than) 15% below 2000 by 2020 if also agreed by other countries that are major emitters. This compares poorly with the 25 to 40% cut compared to 1990 emissions recommended by the IPCC as needing to be made by developed countries to keep CO2 below 450 ppm and to have a reasonable chance of keeping global warming at less than a 2 degree Celsius increase above pre-industrial times. Draft legislation incorporating the policy approach outlined in the White Paper is scheduled for release on 10 March 2009. There are major misunderstandings about how the scheme will actually work. Perhaps the most common misconception is that once the Government sets its 'target' for the level of greenhouse gas emissions, households will still be able to 'do their bit' to reduce emissions. In fact, once the CPRS commences in 2010, reductions in energy use by households will have absolutely no impact on Australia's greenhouse gas emissions. the first thing the government has to do is set its 'target' for how many tonnes of CO2 Australia will produce in a given year. Step 2 is to allocate 'permits' to emit that level of pollution, with the allocation taking the form of either a gift to polluters, an auction of permits, or a combination of both. Step 3 involves letting permit holders trade their permits with each other. 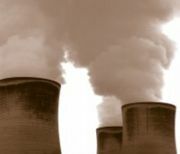 The significance of the trading element of the scheme is that it enables polluters who would like to increase their emissions to buy permits from polluters who do not need as many permits as they thought. Consider the following example. A family is disappointed with the emissions target set by the Rudd Government and decides to do 'their bit' to help reduce emissions further. So they install a solar hot water system on the roof, put insulation in their ceiling and leave the air conditioner off. As a result of these efforts the family reduces their electricity consumption by 20 per cent. At this point, the operation of the CPRS becomes counter-intuitive. 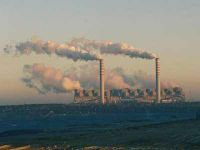 As the family is using less energy, the power station that supplies their electricity will burn slightly less coal, which in turn means they need fewer pollution permits. As a result of the family using less electricity and the power station burning less coal there are now some 'spare' emissions permits. The power station can sell these permits to the highest bidder, a cement kiln perhaps, thus allowing the kiln to increase its emissions and ensuring that there will be no net decrease in the level of emissions Australia-wide. In other words, once the CPRS comes in, the efficiency 'savings' achieved by families will not be passed on to the environment in the form of lower emissions but will instead be captured by power stations and sold to other polluters. This problem with the CPRS is spelled out in a recent paper published by The Australia Institute entitled Fixing the Floor in the ETS – read it here. $455 one-off payment per average Australian household to prop up the value of coal fired power stations for their mostly government and foreign owners. $500 per year per average Australian household between now and 2020 (and beyond) to buy free permits for Australia's worst polluting industries (what they call the emissions intensive, trade exposed industries). How Wong and Rudd ate their own ETS, Bernard Keane, crikey.com, 10 March 2009. This page was last modified 06:01, 20 April 2010. This page has been accessed 46,989 times.